iOS is the name for the operating system which Apple is using in its own smartphones and tablets (iPhones and iPads) since 2007. iOS is a more popular platform among the mobile developers than Android, despite the fact that the latter is used in a greater number of mobile devices. Apple’s success is a result of bigger revenues for developers creating iOS games and greater performance of iPhones and iPads, among other things. 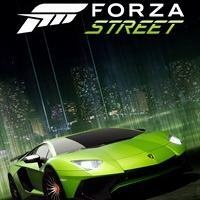 Forza Street is a racing game based on a free-to-play model. Fun comes down to competing in illegal street competitions and getting better and better cars and parts. The game is played using a simplified control system. The seventh installment in the controversial Grand Theft Auto series – one of the most popular game franchises in history that brought Rockstar Games company international fame. The series has been letting the player start as a petty criminal and work his way to the top of the criminal underground. This next part of the series is the biggest one so far, featuring world – the State of San Andreas – almost three times larger than Vice City. Among many innovations, there are several thing worthy of mention: improved AI of civilians, option to recruit gang members, increased number of interactive buildings, hunger factor, swimming, and new means of transportation (e.g. bicycles). On top of that, there game features numerous extra activities, highlighting the sandbox character of gameplay. The game features the atmosphere of the 1990s, apparent in both the graphics and the soundtrack available via the numerous in-game radio stations. A new installment in the bestselling series of action games. The game expands the ideas introduced in the third entry in the franchise, released in 2001. The game was developed by the authors of the previous installments who, after having been bought by the American giant, were transformed into Rockstar North. The game takes place in the 80's in a completely new metropolis called Vice City. The player becomes Tommy Vercetti, who was sent by his boss to establish a foothold in the city while taking care of the local gangs and corrupted police. The game has similar mechanics to its predecessor and focuses mostly on completing various non-linear story missions. Grand Theft Auto: Vice City added some new features, such as the possibility to use motorcycles and helicopters. The graphics, inspired by aesthetics of the 80's, were greatly improved as well. During the game, the player is accompanied by a varied soundtrack broadcast by several different radio stations. An unusual production, combining a truck driving simulator with a survival game. 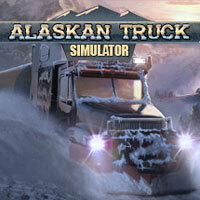 Alaskan Truck Simulator has the official Discovery Channel license. The game was developed by the Polish studio Movie Games, and PlayWay is responsible for its release. Another installment in a popular series of racing games developed by Codemasters. 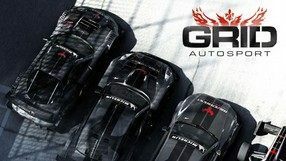 In contrast to DiRT - the other flagship franchise of the British developer, GRID: Autosport continues the tradition established by the TOCA Touring Car Championship and TOCA Race Driver series, that is, racing on asphalt tracks. The player assumes the role of a professional driver who competes against other racers, but he also has to care about his team members and stick to sponsorship contracts. This new installment offers 22 different tracks and over a hundred customizable cars, including both production models as well a unique prototypes - all of these account for an impressive number. The game offers improved visuals and a cockpit view, which is an element that GRID 2 was deprived of. A large emphasis was placed on the multiplayer aspects of the game, for the players are allowed to create online racing clubs, as well as to participate in subsequent, regularly appearing challenges. A spin-off to the bestselling racing game series, Need for Speed. The game was developed by Firemonkeys - an Australian studio cooperating with Electronic Arts. It was created exclusively for mobile devices. Ken Block, a popular racing driver formerly associated mainly with the DiRT series, took part in the production of the game as well. The story pays tribute to one of the franchise's most iconic installments, Need for Speed: Underground, focusing entirely on illegal street races. The player is taken to the fictional city of Blackridge, controlled by five street-level gangs. The player's task is to defeat subsequent opponents in a series of racing challenges, which come in several variants. As usual, the players receive a massive number of licensed cars - divided into five classes here, each having their own garage, performance and visual upgrade counterparts. Although the game is free-to-play, the player's car runs out of fuel relatively fast, which is the main limitation the game brings. 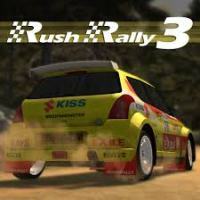 The third installment of the popular mobile racing series, launched in 2009 by Firemint. The game allows you to take part in more than 2,000 racing challenges in one of several different fun variations, offering an equally impressive number of real-world tracks and licensed cars. Characteristics of the production are: realistic driving model, excellent graphics and asynchronous multiplayer mode. 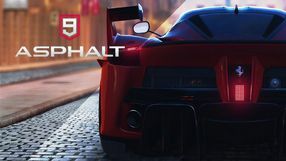 Asphalt 9: Legends is a mobile racing game. The game offers both single and multiplayer modes and is characteristic for its arcade driving model that incorporates breakneck speeds, shoving the enemy off the road and aerial stunts. 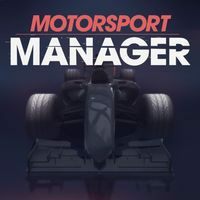 A sports manager game in which we lead a racing team and try to win a fictional version of Formula 1. The economic system is the basis of the game – if we want to achieve success we have to manage our budget well and maintain balance between income and expenses. During the game we can hire new drivers and technicians, research new technologies and upgrades for our race cars as well as find optimal settings for the cars and create schemes for pit-stops. During the races we can set a general tactic and make various decisions, e.g. changing tires during a heavy rain – on one hand our driver can lose precious seconds but on the other hand driving with the old tires can increases the danger of accident drastically. Realism (we don't get any bonuses or special abilities) and superb graphics work in favor of the game created by Playsport Games. 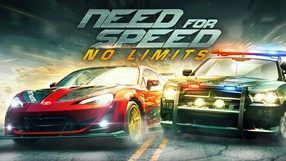 After the slightly more realistic ProStreet, in which the players raced on professional racing circuits, the popular Need for Speed series returns to city streets with a traditional, arcade installment. Developed by a Canadian EA branch, Undercover puts a special emphasis on the storyline. As an undercover cop, the player has to infiltrate the ranks of a racing gang. To do so, they have to prove their worth in a series of driving challenges, including regular races, time trials, highway battles and outruns. As usual, the players receive a massive number of licensed cars which can be modified both visually, and in terms of their performance. The game's improved visuals and excitable soundtrack are complemented by cinematic cutscenes featuring mainly Maggie Q (Mission: Impossible III) and Christina Milian - a singer. 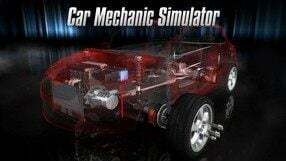 Car Mechanic Simulator 2014 is a simulation game, in which you play as a car mechanic. The game was produced by Polish studio Red Dot Games, known from e.g. American LowRiders, Rally Poland and Need for Russia 4. In the game, you'll be given the opportunity to fix several car models. There are over 70 repair scenarios, in which you have to find out what's broken and take care of it. Each virtual vehicle consists of about 150 components, and to disassemble them you need specialist tools. The repair results can be tested by driving the car on a test track. Car Mechanic Simulator 2014 features simple but pleasant 3d visuals with well-rendered car models. The third part of the rally games series is supervised by Brownmonster studio. In the Rush Rally 3, the creators allow us not only to fight for the best possible time in seventy-two special stages, but also to take part in races like Rally Cross. Another installment in one of the most popular racing game series, developed since 1995 by Electronic Arts. Criterion Games, a team popular mainly for the Burnout console series, was entrusted with the task of creating this installment. The title of the game refers to the two earlier installments that featured police pursuits, released in 1998 and 2002 respectively. In the game, the player can pick their side and play either as a cop or a racer. A set of gadgets was introduced into the gameplay, emphasizing the arcade nature of the series. Cops can deploy spike strips and set up road blocks, while the racers can use things like radar jammers. As usual, the game features dozens of licensed cars and a soundtrack including numerous popular songs. The Autolog system is a completely new feature, the role of which is to organize a network of players allowing them to compete against each other. A new installment in the legendary racing series. 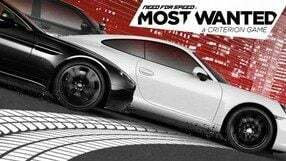 As the title suggests, the game refers to one of the most well-received parts of the series - the original 2005's Need for Speed: Most Wanted. The game was developed by Criterion Games, a company well-know for the Burnout series. The remake resembles the original game when it comes to dynamic police chases and the so-called Blacklist, where the player challenges other most wanted drivers for races and climbs up their ranks. This time the developer put emphasis on the game's open-world environment, and the opportunity to explore it freely. The player can freely roam the streets of Fairhaven and switch between the vehicles they previously managed to acquire. Participation in subsequent races unlocks upgrades and modifications for each car. In doing so, the player earns prestige points as well, which allows them to challenge subsequent Blacklist drivers. What is typical of the series, the game offers an arcade driving system that features spectacular collisions. Continuation of the iconic Gameloft series, which gained popularity on phones and mobile devices. In the new part of the game we get significantly improved graphics and sound, a new model of destruction and licensed soundtrack. Completely new play modes have also been introduced. Another installment in the Need for Speed racing game series. This time, the game brings an unexpected twist, for a typically arcade series turns towards realism. The new developer, by the name of Slightly Mad Studios, created new driving physics that focus on simulation rather than arcade gameplay. Similar to 2007's ProStreet, races take place on closed racing circuits. The player can participate in the entire season of races, taking place both on fictional and real circuits. The game offers a wide set of licensed cars, bringing the interior view back to the series. As a result, the experience is intensified and the realism is felt. The visuals were improved as usual, but apart from that, new collision and damages models were implemented and the AI algorithms were improved. Opponents behave more aggressively behind the wheel - they experiment with different methods of passing other drivers. A racing game taking place in a futuristic world. The players control lightning-fast, cutting-edge vehicles. The title is the first multi-platform project from VD-dev, a seasoned French studio, known for games for Nintendo portable consoles. 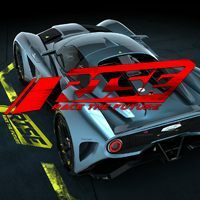 RISE: Race The Future employs a driving model inspired by the classic Sega Rally series, highly arcade in nature, and focuses on mastering drift techniques. Additional flavor is retained by the fact that the cars used in the races are equipped with a unique type of tires, which allows them to cross any surface (water, for example). Aside from the multiplayer mode, and a classic arcade mode, the game offers a story campaign for a single player, which takes us to a fictional world of futuristic racing, outlining the history, beginnings, and the purpose of organizing the races in which we participate. 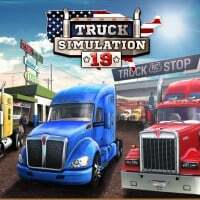 A simulation game, in which we play the role of a truck driver, developed by the Polish studio Jujubee. Truck Simulator America provides us with an extensive map. 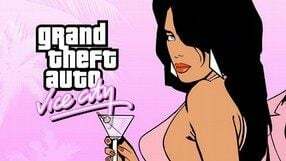 A spin-off to the bestselling Grand Theft Auto series, at first developed for Nintendo DS and PlayStation Portable handhelds and later converted to mobile devices as well. The story takes place in Liberty City, a place well known to the fans of the series. As Huang Lee, member of a Chinese criminal group, the player is trying to prove his worth, avenge the death of his father, and reclaim a valuable sword that for centuries was the symbol of his family’s power. The gameplay mechanics are similar to previous installments in the series, except for the missions being slightly shorter and the fact that the player can repeat failed actions. Other important changes include an auto-aim system, simplified driving mechanics, and the necessity of destroying police cars. A new interface and various mini-games were added to the game as well. The graphics of the game utilize cel-shading technology, combining the classic top-down view and isometric perspective. Mobile spin-off car MMO The Crew. In the game we play the role of the leader of our own car club, and our task is to carry out increasingly lucrative orders, most of which are highly illegal and boil down to the transport of wanted people or smuggling valuable goods. The money earned in this way is invested in the development of the club and the purchase of new cars. The title offers a highly simplified driving model, mainly by changing lanes to avoid collisions. Another installment in the controversial series of action games started in 1997. Grand Theft Auto III was developed by the authors of the original game, the DMA Design studio, this time under the wings of Rockstar. The third entry revolutionized the series by unleashing the players into an open, fully three-dimensional world brimming with virtual life. This was possible thanks to the RenderWare technology. The game takes place in Liberty City, a virtual adaptation of New York. The main protagonist is a young man named Claude who dreams about becoming the boss of the underworld and taking revenge on people who almost sent him to prison. The story of the game is non-linear and develops as the player completes dozens of assignments from various mafia bosses. A large arsenal of weapons can be useful in completing these tasks. The game also contains dozens of vehicles which – similarly as in the previous installments of the series – can be used with no limitations. 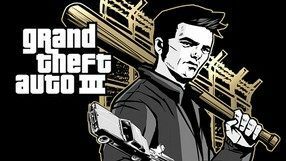 A spin-off to the iconic Grand Theft Auto series. The game was first developed for the PlayStation Portable handheld console. The story of Liberty City Stories takes place a few years before the events shown in GTA3, on the streets of the same metropolis. During the game player becomes Tony Cipriani who after coming to the city is caught up in the dirt of corruption, mafia wars, and drug traffic. The objective of the game is to work for the Leone mafia family, increase its influences and build up Tony’s reputation in the criminal underworld. 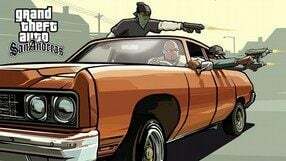 The gameplay of GTA: Liberty City Stories employs the well-received mechanics of the series and offers an open world filled with story missions and side activities alike. As always in the series, there are many vehicles (including motorcycles, motorboats, trains and ferries) and weapons to use. However, due to the limitations of the PSP console, some things were slightly simplified. Three-dimensional, arcade racing game, which is a refreshed version of one of the first productions of this type, released in the 70's by Atari. As befits a remake, this title has a similar gameplay model, but a completely new graphic design. 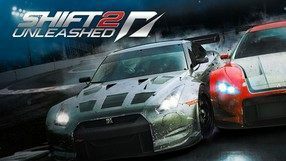 A sequel to 2009's Need for Speed: Shift, the more realistic spin-off of the arcade racing series. Both games were developed by Slightly Mad Studios. Shift 2: Unleashed brings few changes to the gameplay mechanics of its predecessor. The game utilizes the same driving physics, combining simulation elements with the simplicity of arcade racing. The highly-praised driver seat view is back, allowing the players to experience collisions or shaking to their fullest. 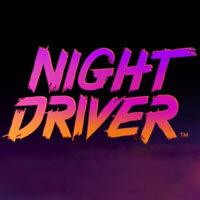 Apart from a new set of tracks and licensed cars brought by the game, the player can now also race at night. The graphics, lighting and camera work were all improved. Similar to Hot Pursuit, the game features the Autolog system, containing plenty of rankings and statistics, but also allowing us to play in online multiplayer mode.